Last week I dropped a large packet into my local postbox and brought to the end five years of research. The manuscript for the new Cape Wrath Trail guide is now winging its way to Cicerone and starts a lengthy process of editing, checking and proofing before final publication in early 2013. When I started researching my first Cape Wrath Trail expedition, there wasn't much information out there beyond the rather out of date and eccentric North to the Cape. Indeed that's what eventually inspired me to write the new book. In the last few years there has been a huge surge of interest in the walk and various groups have sprung up to promote it. This has created tensions as people seek to define their own versions of the trail. 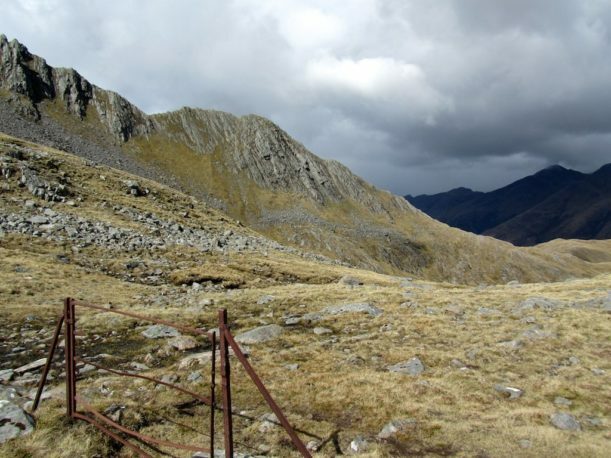 My view has always been that the Cape Wrath Trail should remain an un-waywarked, unspoilt challenge for serious walkers. It will likely never have sufficient amenities to be safely day walked without a tent or provisions. It is resolutely not the West Highland Way, and for most people that is precisely its charm. I've focused on writing the best possible guidebook for walkers. There's a suggested main route and the established alternatives are also included. There's a danger in offering so many alternatives that it becomes confusing, but I think the book strikes the right balance. Places in life where one can escape official directions or instructions are so rare, it would be a shame if they intruded into this last rare corner of remoteness in these crowded islands of ours. In the meantime this site will be regularly updated with news and information from the trail. I'm delighted to see that the forums are already turning into a useful resource where walkers can swap information and experiences. So if you've walked the trail this year, do get in touch with your experiences, and add yourself to our growing Roll of Honour.